"Faderman is a skilled storyteller and a careful documentarian . . . the historical details in the book have been provided by extensive research. It is these historical details and Faderman's lyrical storytelling skill that make this book such an inviting read." "To be sure, the Holocaust figures crucially in [Lillian Faderman's] new memoir . . . but her book is more than a testimony of the Holocaust—it is a love story, a family memoir and, above all, an American tale." "A remarkable work of reconstruction . . . As usual, Faderman's seemingly effortless prose is the result of years of patient research. As far as possible, she has made sure that the past will be accurately remembered." "[A] strikingly intelligent and emotionally wrenching narrative." "Faderman expertly explores a jarring view into the immigrant life of Jewish Holocaust survivors living in the US." "A gripping personal testimony. 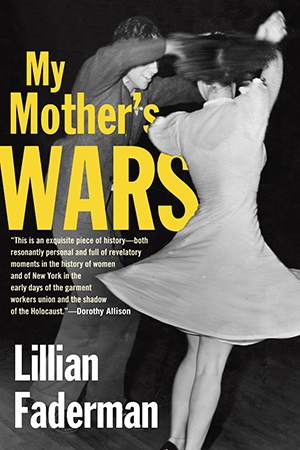 Author Lillian Faderman shares her mother's story of immigrating to America with high hopes of dancing, only to be swept up in the undercurrents of New York, and the struggles of being a worker in the garment industry. . . . A must for history and memoir collections focusing on personal tales." "As Faderman vividly chronicles her mother's intense personality and complex experiences, she also freshly illuminates the Jewish immigrant experience."